Hinds County Human Resource Agency’s (HCHRA) Early Head Start program received a cash donation and a collection of children’s books from Ms. Mary S. Jones to help promote early childhood literacy. 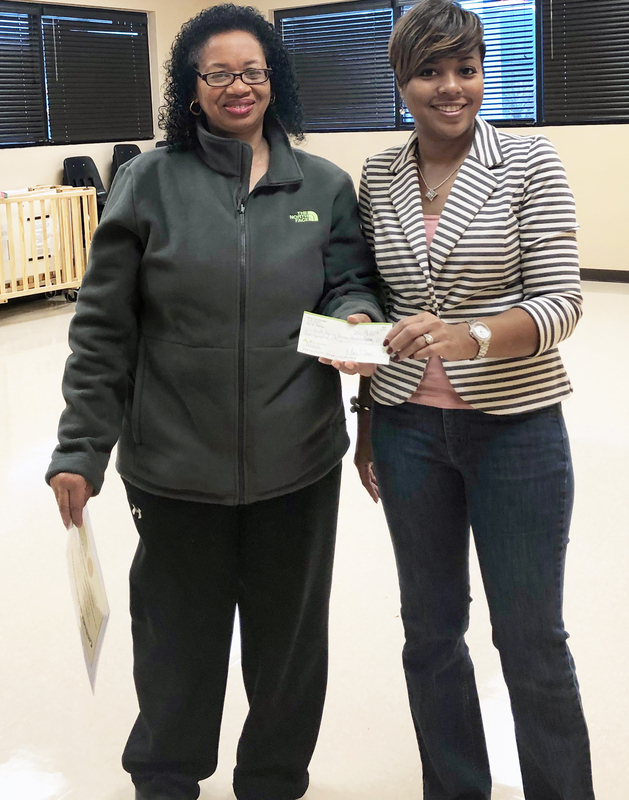 Jones, standing on the left, is photographed presenting a $200 donation to Dr. LaTessa Long, HCHRA’s director of Children’s Services, in support of the agency’s Early Head Start literacy program. Jones said she wanted to make the donation because she enjoys helping children. She specifically requested that the books be donated to The Della J. Caugills Early Head Start, which was named in honor of her sister, Mrs. Della J. Caugills, who worked at HCHRA for more than 41 years and served as education director for the agency’s Head Start programs. HCHRA is a public nonprofit Community Action Agency dedicated to helping families and strengthening communities. For more than 41 years, HCHRA has built its solid reputation in eradicating poverty by empowering disadvantaged Hinds County citizens to become self-reliant and realize their full potential. For more information on the agency’s Head Start and Early Head Start programs, click here. To learn how you can support program development and provide additional opportunities for disadvantaged citizens, call (601) 923-3930 and ask for Planning and Development.